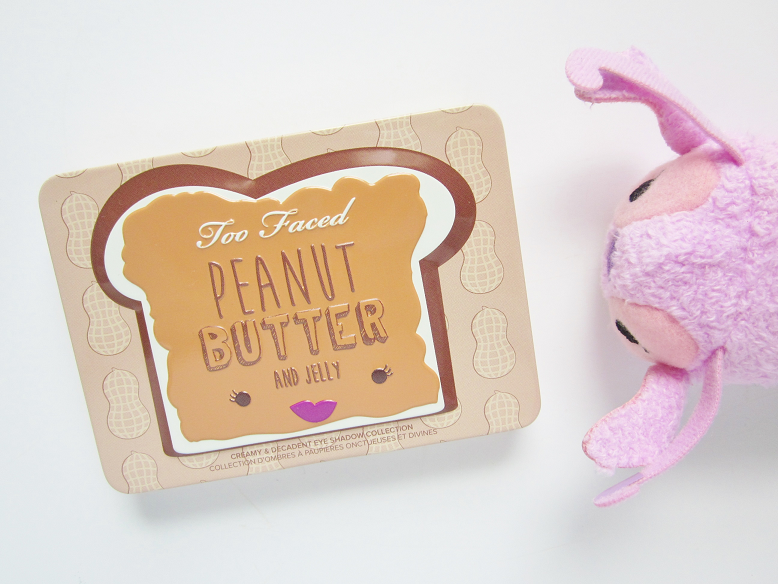 It's peanut butter and jelly time! 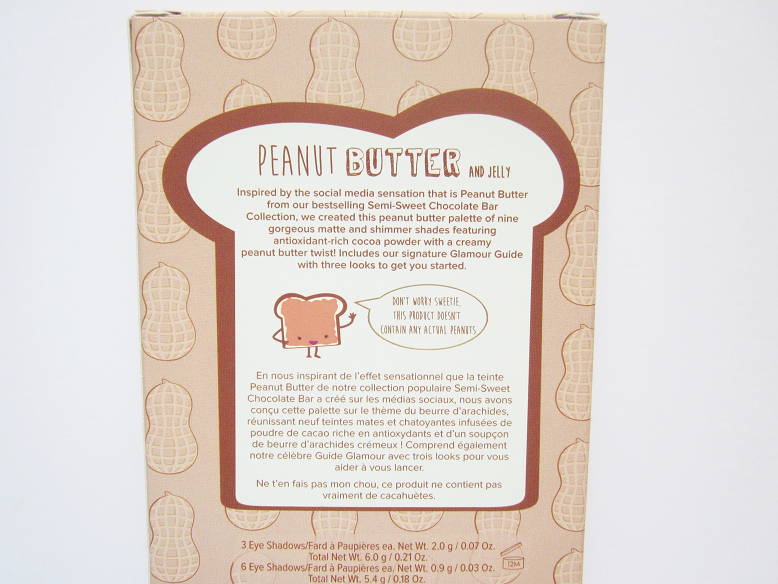 Too Faced released an eye shadow palette inspired by peanut butter and jelly sandwiches recently and I just had to get it! I love it when makeup companies release quirky cute beauty products! Since I've only had it for a few days I thought I would share my first impressions on the palette so far because it's too early for me to review it. The packaging is absolutely adorable! The palette has the cutest illustration of a slice of bread with peanut butter slathered all over. 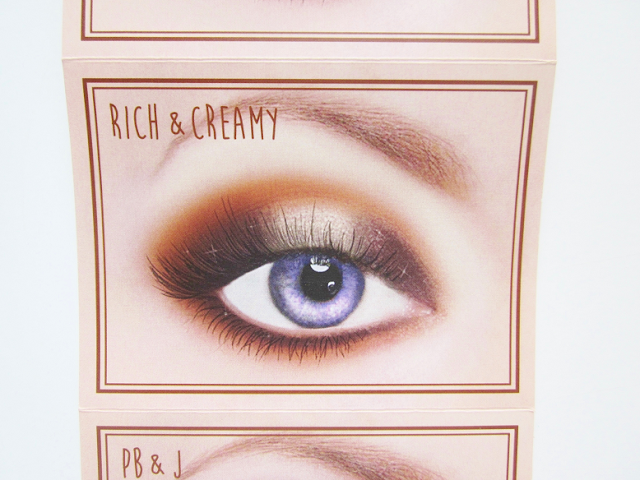 The palette comes in a plastic tin like packaging. 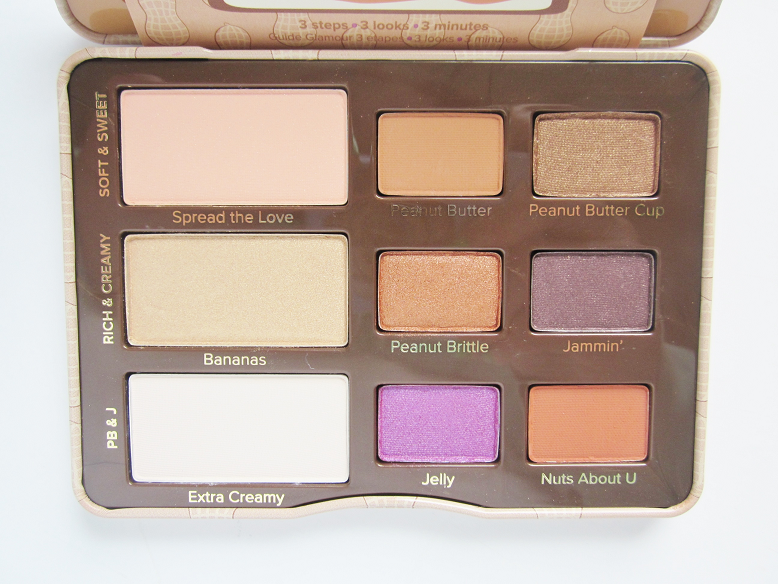 It's a lot smaller then I thought it would be. It's about half the size of their chocolate bar palettes. 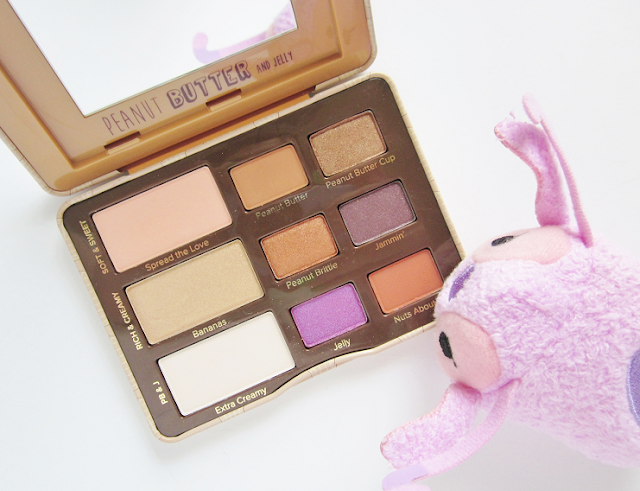 But it's the perfect travel friendly palette, it even comes with a mirror so you can check on your makeup whenever! 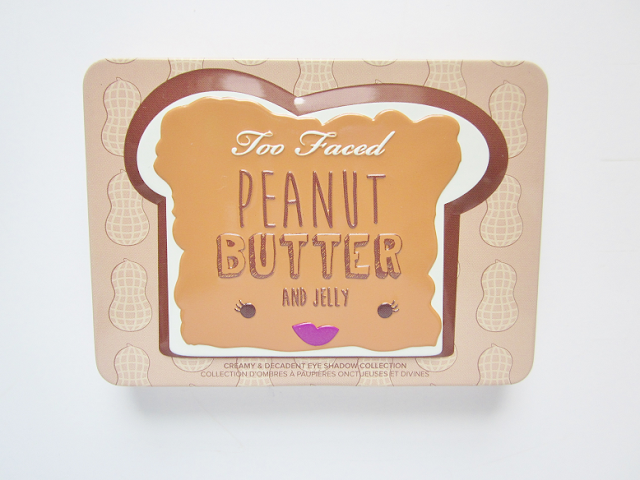 "Inspired by the social media sensation that is Peanut Butter from our bestselling Semi-Sweet Chocolate Bar Collection, we created this limited edition peanut butter palette of nine gorgeous matte and shimmer shades featuring antioxidant-rich cocoa powder with a creamy peanut butter twist! Includes our signature Glamour Guide with three looks to get you started." 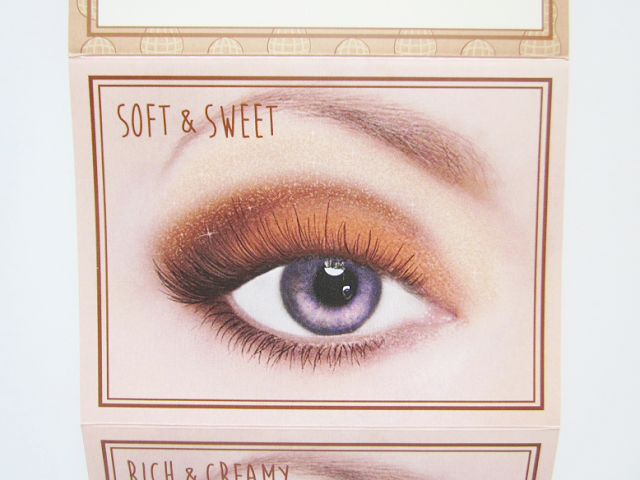 I think this is a really cute neutral eye shadow palette! Especially, if you have brown eyes because the two purple colors will emphasize your eyes. 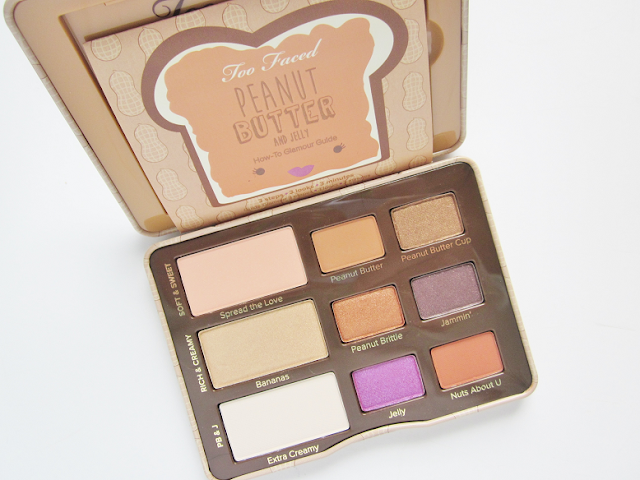 The palette is suppose to smell like peanut butter but it smells just like my Too Faced Chocolate Bar Eye Shadow palette! 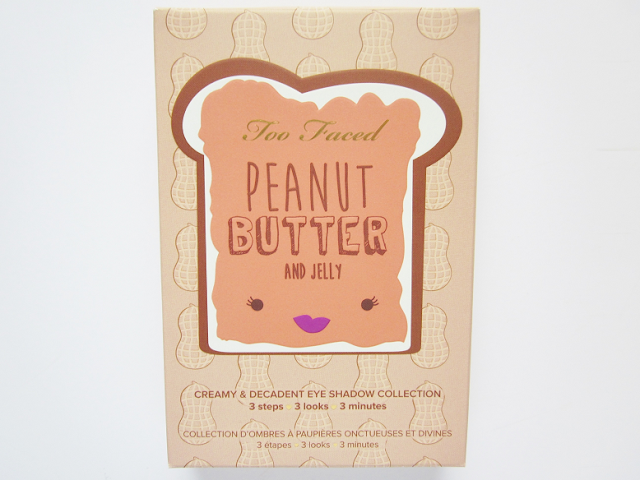 Are you a fan of peanut butter and jelly sandwiches?